Ikolo Griffin was born and raised in San Francisco, California. He received his first ballet training as a scholarship student with San Francisco Ballet School’s outreach program. He is the first and only outreach student to graduate the school and continue into the San Francisco Ballet company. 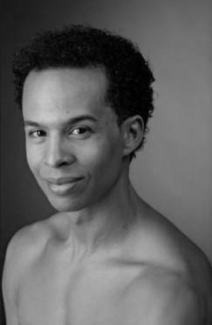 After seven years with SFB, Ikolo joined Dance Theatre of Harlem as a soloist and was later promoted to principal. He danced principal roles for two seasons at the Joffrey Ballet before returning home to San Francisco as a member of Smuin Ballet.